Malaysians have been safe from the devastating Zika virus – so far. But that does not mean the country’s citizens should not stay alert. Not only does the virus thrive in a tropical climate similar to Malaysia’s and borne by a mosquito prevalent here, but there is also growing evidence that it can also spread via sexual transmission with far more ease than previously thought, the World Health Organization (WHO) has warned. Mosquitoes, however, still remain the primary transmitters of the virus, which has now spread to a total of at least 33 countries, predominantly in the Americas and the Caribbean, in an epidemic. And here’s another worrying sign: widespread spraying in afflicted areas has failed to eliminate the spread of Aedes aegyptii mosquitoes that carry both the Zika virus and the virus that causes dengue fever. These mosquitoes, dubbed “the cockroach of mosquitoes,” proliferate in Malaysia. They prefer indoor environments, where they can prey on humans, and they have long proved themselves resistant to most attempts to eradicate them. There have been no reported cases of the Zika virus in Malaysia, but the country’s Ministry of Health isn’t taking any chances. It’s setting up a monitoring system for any sign of the virus and has advised pregnant women to avoid travelling to countries with a high incidence of the virus. In addition to causing debilitating birth defects in babies and neurological problems in adults, infection from the virus can lead to fetal death, fetal growth restriction, damage to the central nervous system and blindness, according to new findings. In Brazil alone, more than 640 cases of microcephaly (an abnormal smallness of the head in newborns) linked to the virus have been confirmed with at least another 4,200 additional suspected cases of the severe neurodevelopmental disorder. Meanwhile in Colombia, at least 47,700 cases of the mosquito-borne virus have been recorded with 8,890 pregnant women among them. Local health authorities estimate that as many as 600,000 Colombians will be infected with the virus by the end of the year. A vaccine for Zika is still several years away. Latin America is far away from Malaysia, but the virus might be able to jump the geographic barrier given a chance. 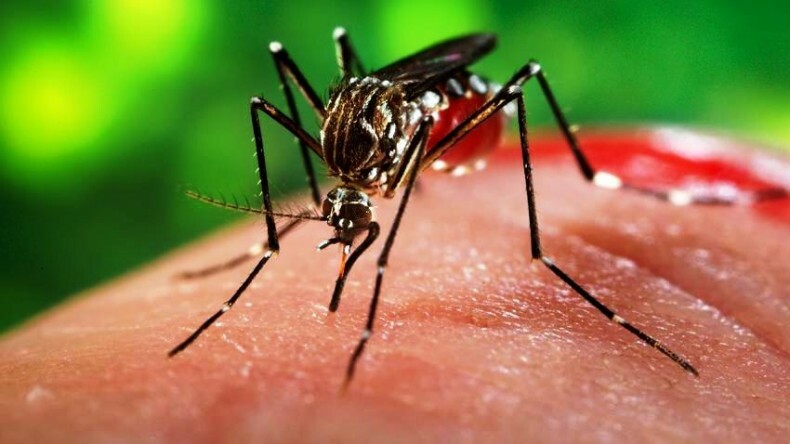 An American woman travelling in the Philippines was recently diagnosed with the Zika virus in the first recorded case in years in the nearby Southeast Asian nation. Complicating matters for dengue-plagued countries like Malaysia is that Zika causes several similar symptoms that dengue fever, too, does, albeit local medical experts will continue to treat dengue as the likely suspect for them. “If a person comes with fever, body pain and severe headache or complications such as bleeding, we will check them for dengue,” explained Dr Rose Nani Mudin, head of the Health Ministry’s Vector Borne Disease Sector (Disease Control Division). “If [the test] is negative, only then the patient will be screened for Zika.” A total of 336 Malaysians died of dengue fever last year. The country has its hands full trying to contain dengue fever as it is, so let’s stay vigilant and make sure Zika will be unable to gain a toehold here too. Malaysians must stay extra alert especially with the experience they have from dengue. The Malaysian government is not able to control the dengue virus. That’s why last year an average of 28 people a month died from dengue. This is an increase of 56% compared to 2014. It’s all about poor environmental cleanliness and inappropriate solid waste disposal. Most Malaysians are quite aware of the dangers of dengue but they don’t proactively go around and try and prevent it. Thanks for your comment, Timbernews! We’ve unfortunately had to watch as carelessness in waste disposal propagates dengue and close encroachment of urban developments upon forested areas increase the risk of malaria. We hope Zika isn’t next on the list, and will do what we can to spread awareness about the dangers of these diseases. We appreciate your work very much, and will always support the environmental news you bring to the foreground.